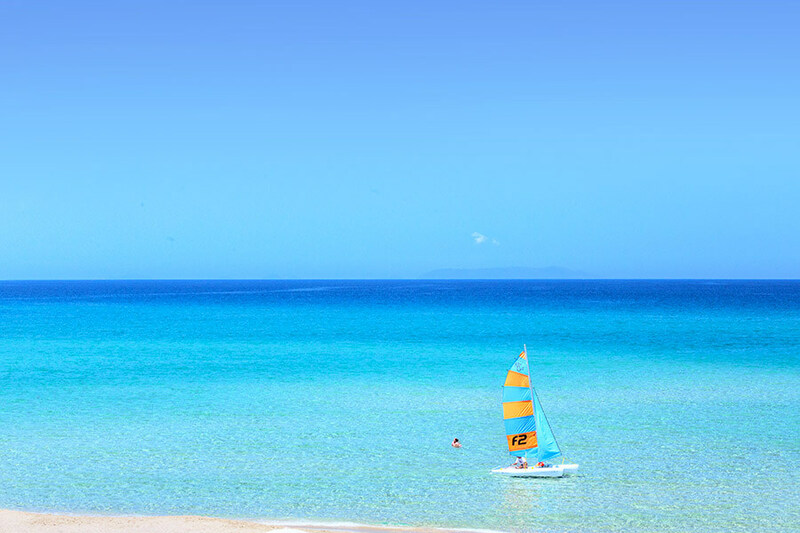 The Resort Le Dune will bring you to Sardinia with its holiday packages for all the family and its offers with Hotel + Ferry and Hotel + Flight included. Organizing your holidays in Sardinia with the family has never been so simple and convenient. Whether you’re travelling with your children or just your partner, for a perfect holiday you’re looking for comfort, services and facilities and of course, savings. The Resort Le Dune at Badesi is the ideal place for families and young couples who want to spend an unforgettable holiday by the sea and with our Sardinia holiday packages, you can have all this with no stress and at the best price. If instead you want to fly, thanks to the wide range of flight routes operating from Olbia Airport, the Resort Le Dune can work out a personalised offer for you for Sardinia with flight included. If you choose the “happy” hotel from the Delphina Hotels & Resorts collection, you arrive on the island and you can enjoy your holidays with children. This spacious resort right on the Northern Sardinia sea with its 5 hotels and 10 restaurants is able to satisfy your every desire while on holiday. At the Le Sabine Wellness Centre you can enjoy moments of relaxation and revitalize your body and soul. There are also a wide range of open air free sports activities and lots of games and entertainment for children at the Duneland mini and junior club (service included in the hotel’s holiday package). This Resort for families in Badesi is the ideal starting point for anyone who wants to enjoy the most beautiful beaches in Sardinia and also discover the Gallura inland area with its ancient granite towns and the culture and traditions of an island that always provides surprises and unexpected sensations.